Review any file from anywhere with our mobile cloud storage apps. Work with your business files on the go. Upload, organize, and securely share files from anywhere using our mobile cloud storage app designed specifically for the iPhone. Anywhere your tablet goes, your business files go too. Upload, organize, and securely share files from anywhere. Our iPad-optimized cloud storage app supports both landscape and portrait orientation as well as iPad-only features such as fullscreen mode and the ability to view Workspace activity. Upload, organize, and securely share files from anywhere using our mobile cloud storage app designed specifically for Android devices. 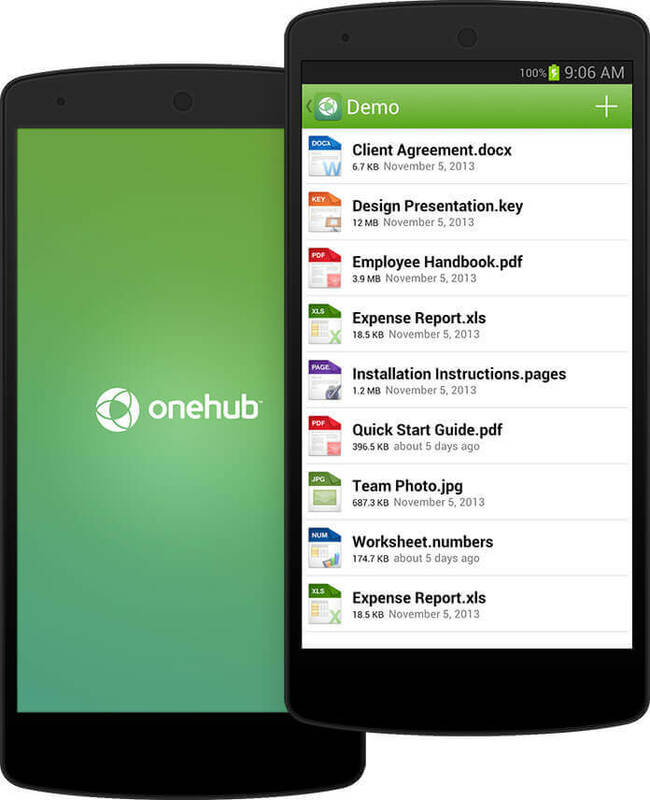 If you have a file viewer installed on your Android device, Onehub will automatically use it to display your files. 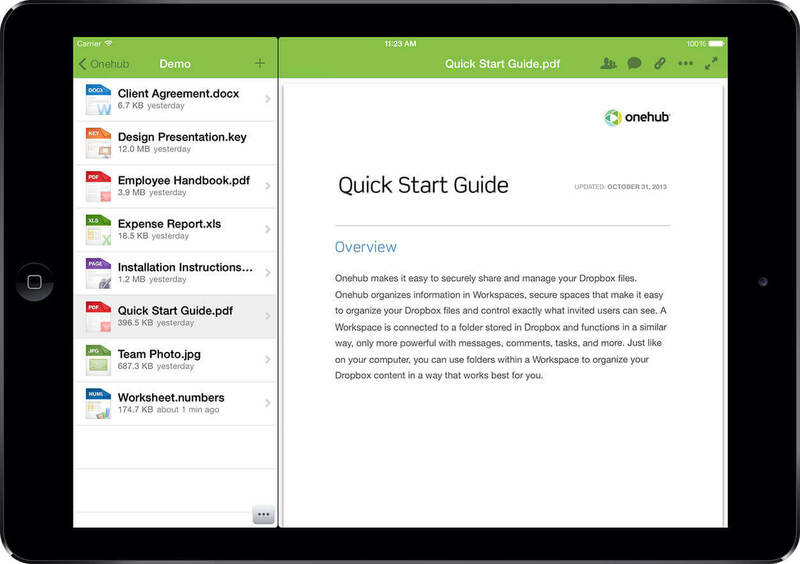 Securely access, share, and manage your business files on the go. All your important files are stored securely in the cloud for instant access from anywhere in our online data storage app. Be more productive in and out of the office. Invite users and adjust permissions right from your phone. 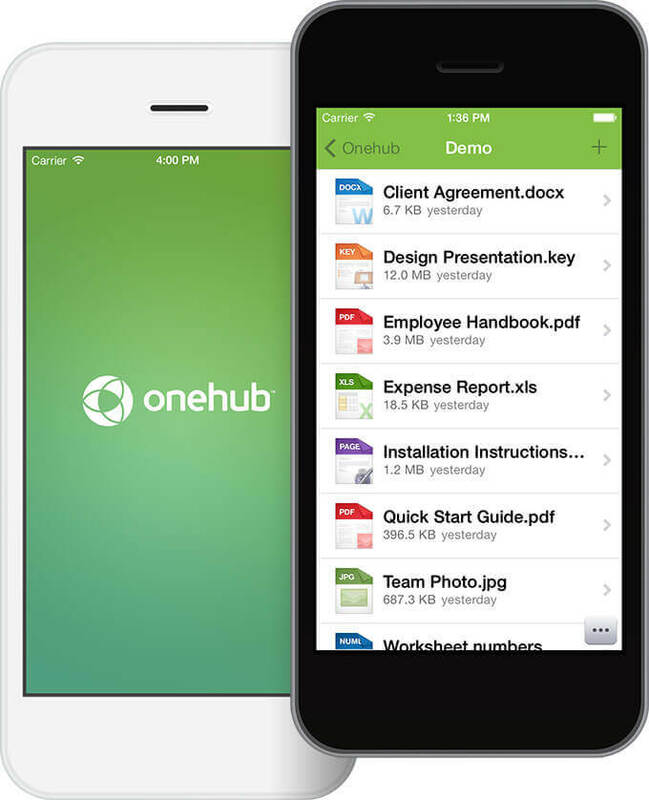 Need to give a user additional rights to print or download or remove a user from your data room, Onehub’s cloud storage apps make it easy even on the go. See what users are active in your app data room or Workspaces. Audit trails on each file show every action since the file was created so you know exactly who has accessed, printed, or downloaded the data you are sharing.